Storm, the fox, found the best friend a girl could ask for — in one dapper gentleman of a red fox named Jade. As for Jade, Storm's company was exactly what he was missing all along — he had somehow never met another fox in his entire adult life. Jade was brought to the Alaska Wildlife Conservation Center over two years ago after someone tried to illegally keep him as a pet. 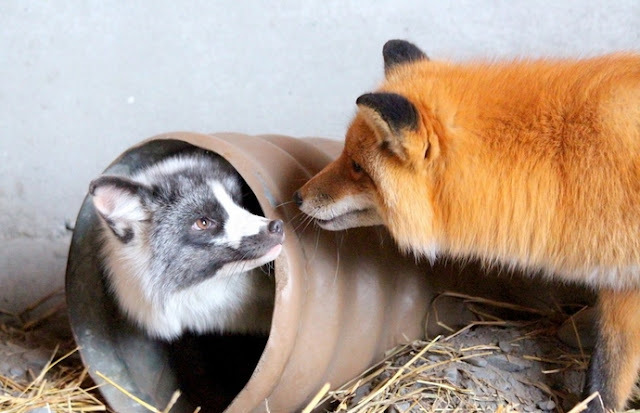 Up until Storm's arrival, the 3-year-old had no other foxes like himself to interact with, though the center did its best to make up for it with forms of animal enrichment and human interaction. Storm, on the other hand, was rescued from an illegal breeder in Montana. Had she not been found, she more than likely would have been forced to live as a household pet. The coloring of a marble fox in particular does not occur naturally in the wild and is a result of human meddling. These foxes are typically bred to be kept as pets or to be used in the fur trade. In Storm's case, she was lucky to be spared from either outcome. As for Jade, he's finally able to indulge in the type of companionship that would have been afforded to him had he been left free and wild to begin with. "Red foxes are known to maintain a number of relationships in the wild," a press release from the center about Storm's arrival said. "The addition of Storm onto campus will be a mutually beneficial relationship and form of enrichment for both [Jade and Storm]." 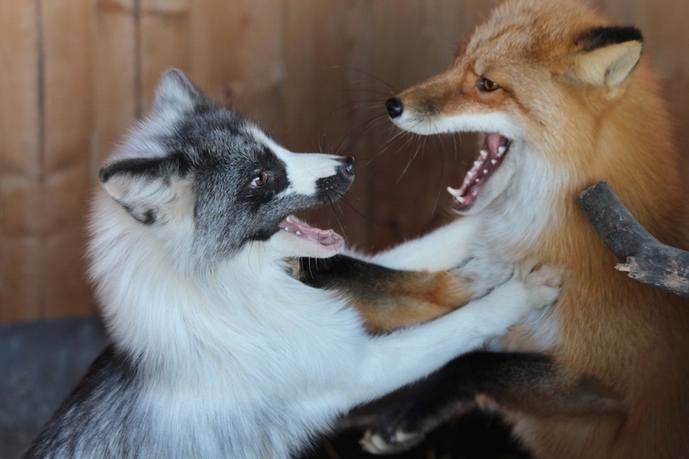 Responses to "Pet Fox Escapes Breeder To Meet Her Wild Soulmate "